I had a good time with this thriller, but I think it has higher aspirations than it’s able to reach. It’s marketed as a tale of moral ambiguity, purportedly raising profound questions like “How far would you go for love?”, but in execution it never stops feeling like a beach read. If you’re looking for a tawdry little escape, it would be the perfect choice. Not so much if you’re expecting a deep dive into ethics. Main character Ellie finds out on her wedding night that the man she has just married is not who she thought he was. Turns out he’s a bad, bad man who’s done bad, bad things, and now the only way they can stay together (and alive) is if she does bad, bad things too. Far-fetched, you say? You bet it is, and if you struggle with suspending your disbelief, well, get out now. 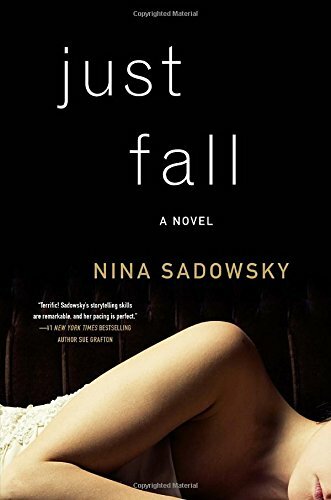 If you can accept the premise, though, and the increasingly wild curveballs Sadowsky throws, Just Fall is a dirty, fun ride.